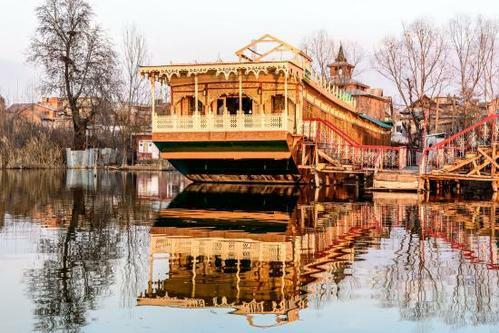 Home LifeStyle Why Kashmir is a paradise for honeymooners? 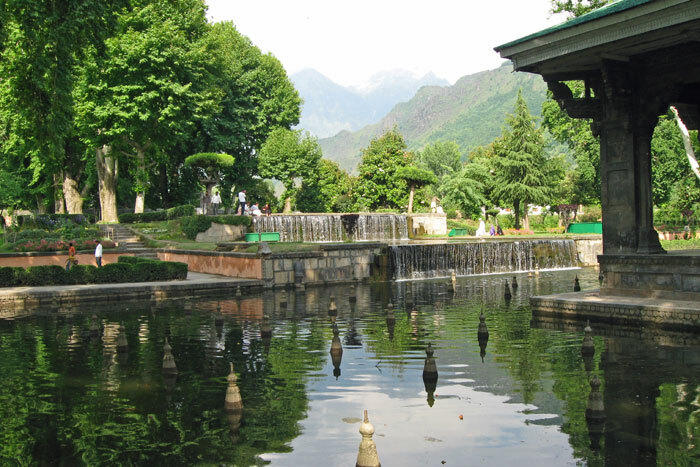 Kashmir happens to be a paradise on earth according to the Mughal Emperors. People through the ages have found the words worth repeating after being mesmerized by the beauty of the valley and the snow covered mountains surrounding it. So, you would definitely find it a fitting place for your honeymoon. Do plan an itinerary and set forth for the destination as a newlywed couple. Wait! You do have to book one of the most popular Kashmir honeymoon packages in order to lighten your burden and lose yourself in the magnificent location with your partner by your side. Sure, there are beautiful places galore once you cross over to the valley of Kashmir. However, you would not be too interested to go sightseeing as a part of the crowd of tourists. Forgo the luxurious hotels and decide to stay in a houseboat this time. It is definitely going to one of the highlights of your visit to Kashmir. You do not have to go through any hardship while staying over the spectacular waters of Dal Lake either. In fact, the living area will be furnished comfortably and you will not lack the basic amenities either. Swaying over the waters of the lake with the serene settings as a backdrop will make your honeymoon the most exciting period of your life. So, stay up and whisper sweet nothings to each other as you gaze up at the stars from atop the houseboat. Hail a shilkara for visiting the city and buy the lovely flowers to bedeck your person and hers. It is going to be taste of the heaven for sure. This beautiful garden had been created by the Mughal Emperor Jahangir and presented to his lovely wife, Noor Jahan. The lush greenery along the slopes of the multi terraced garden is a wonder to behold. However, it is the bright flowers in every color imaginable that hold the eye and delight the honeymooners. Look ahead to view the tall Himalayan ranges and watch the glittering water cascade off the fountains within the garden. Be sure to photograph your beloved in front of the Chini Khanas or the niches that hold magnificent flower pots and enjoy walking in the wonderful garden while holding hands. If you had hoped for snow, you will find plenty of it in Gulmarg especially if you want to experience the thrill of a winter honeymoon. Ski down the slopes as a couple and have fun sliding on the snow. You can also opt for snowboarding and watch the entire landscape covered with a thick white layer of snow. You might enjoy teeing off at the Golf Club of Gulmarg if you want to play a round of golf with your partner on the highest course in the world. The enchanting flowers all around you will make you feel a part of a Bollywood film song set. Go ahead and break into a song in unison and make your honeymoon even more enjoyable. Get a bird’s eye view of the majestic Gulmarg along with the snow covered peaks by choosing to ride in the cable car, known officially as a Gondola. You will find it difficult to take your eyes away from the spectacular site of lush green vegetation far below. 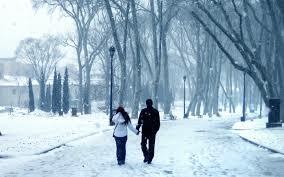 Be prepared to see it covered completely by snow if you plan the trip in the midst of winter. 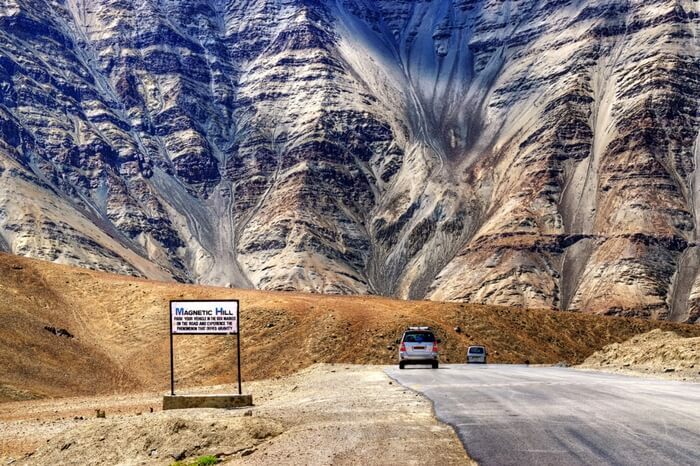 – You cannot avoid the monasteries once you venture into Ladakh though. There are numerous monasteries in the region and you must make sure to visit at least a couple in order to gaze at the architectural marvels created in such challenging conditions. 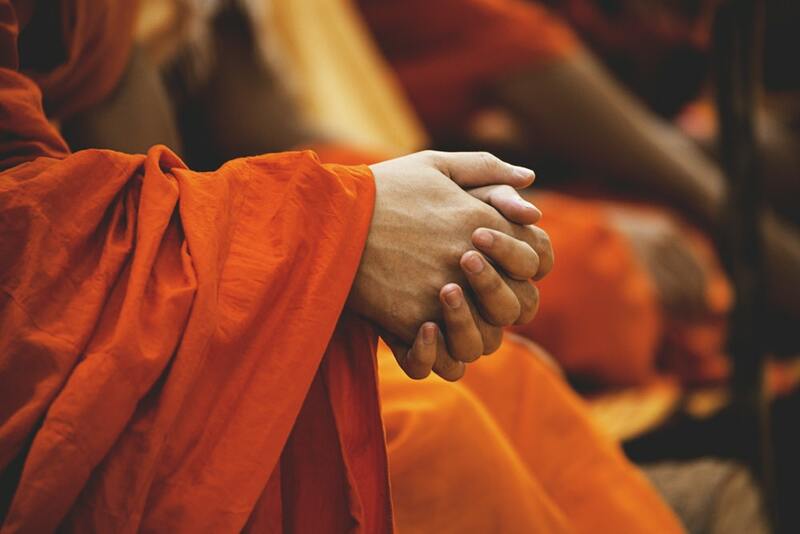 Meeting the Buddhist monks and seeking their blessings will help you to begin the new journey of life as a couple. Remember to check the paintings and ancient scrolls at the monasteries as you take the much-needed break after traveling continuously for hours. Be awestruck by the reverse phenomenon when your vehicle goes up in spite of no acceleration and witness the opposite motion when you try to drive uphill by hitting the accelerator sharply. This phenomenon defies science completely. So, let nature be by itself while the two of you have fun witnessing the miracle. 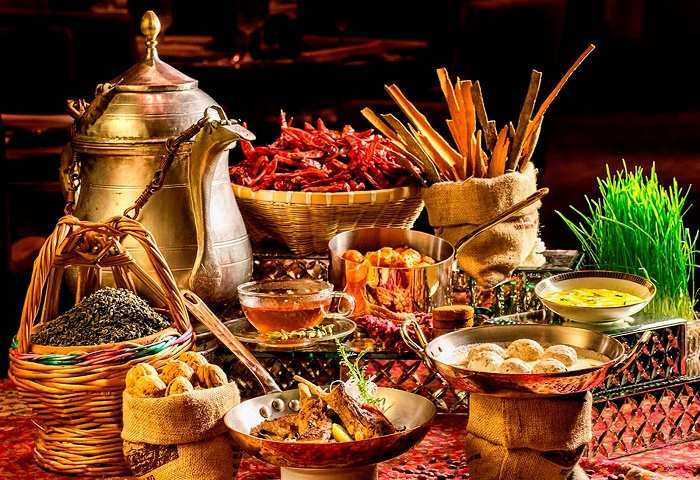 You just cannot bid adieu to Kashmir without trying out its lip smacking cuisine. You will be delighted at the amazing Kashmiri Kahwa or tea that quite different from the rest of India. Try the Wazwan platter as well as the other delicacies including Rogan Josh, Nadro Yakhni and Gushtaba. Pick up a few tips of cooking the delectable dishes while you enjoy a meal with your partner by eating from the same plate. You just cannot visit Kashmir and come back empty-handed. Remember to buy a few souvenirs as well as walnuts and decorative items for the near and dear ones. You might pick up a matching pair of shawls for yourselves while on a shopping spree. Go street shopping instead of visiting the huge Emporiums in order to get the articles at bargain prices. 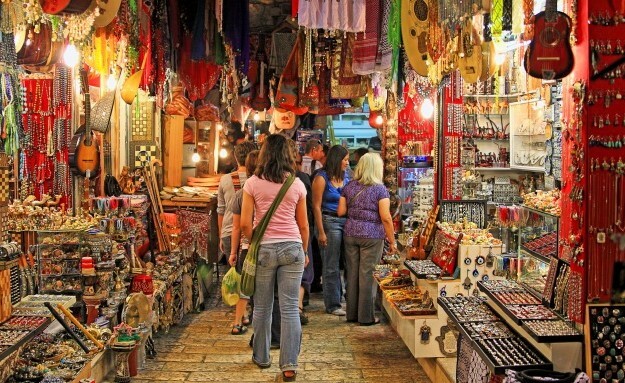 Enjoy walking hand in hand at a leisurely pace by pricing up the wares for sale and converse with the locals to get to know more about their lifestyle. You might also order ornate carpets and artifacts made out of beaten copper and ask to be delivered on your doorstep. Be sure to ask the tour guide accompanying you courtesy the company that books Kashmir honeymoon packages for advice. You will be taken to the best shops known for fair dealing and authentic items.